Sharknado 3: Oh Hell No!, the third epic installment of everyone’s favorite piscine natural disaster series, is coming to SyFy this month. 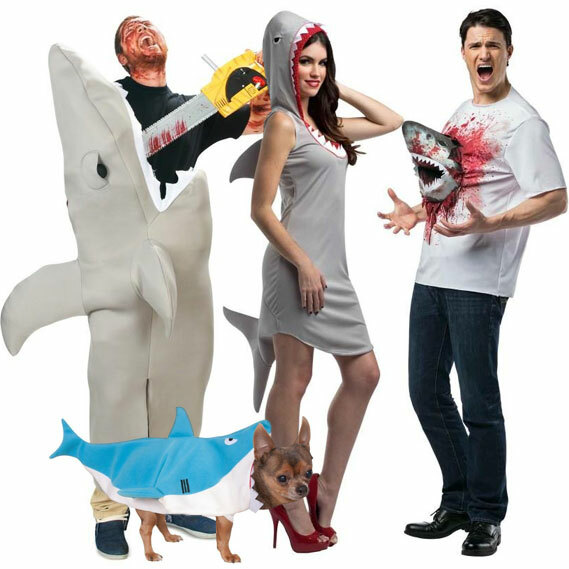 You just know that it’s going to be the source for many Sharknado-inspired costumes for Halloween, too. All you need is an Uncle Sam costume, a stuffed shark, and some duct tape (ironic costumes are even better when they’re thrown together at the last second). The Sharknado movies are definitely the most well-known examples of the so-bad-it’s-good-probably-made-for-SyFy-shark-horror genre, but there are a lot more. Like, a lot more. If you and your friends are up for a weekend session of bad movie binge watching, here’s a list of the best bad shark movies that we could find. The Mega Sharks are probably the second-most notable, amaze-bad shark series around, because like Sharknado, they’re also made by the production company known as The Asylum. 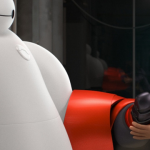 They’re most famous for Hollywood “mockbusters” like Transmorphers, The DaVinci Treasure, and Titanic II, but they also make plenty of originals. 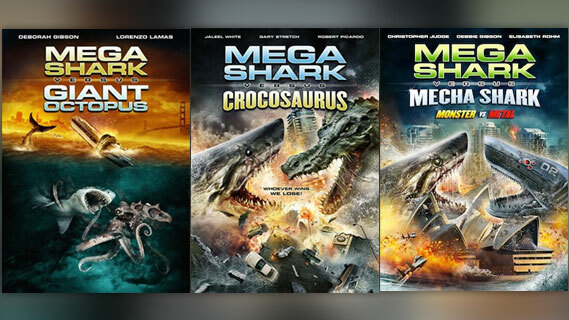 The mega sharks in each film are different, but this isn’t exactly the kind of series that needs to be watched in order, either. Whether it’s a giant shark fighting a mutated animal or a reawakened Soviet doomsday device robot, it’s going to be pretty cool either way. 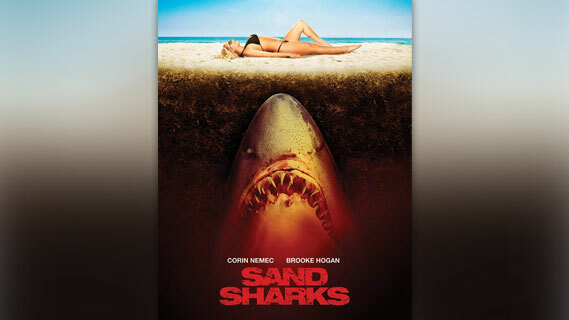 This movie is about sharks that can swim through sand, because why not? 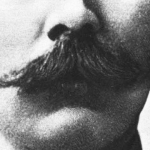 The main source of suspense in the film is a massive beach party, organized by a mustache-twirling event promoter who knew about the sand sharks beforehand. When the sharks show up and begin to devour both of the extras cast as party goers, Hulk Hogan’s daughter, Brooke, attacks them with a homemade flamethrower. Now that’s just a logical progression. 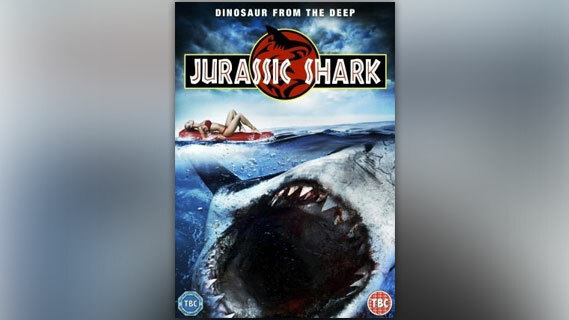 The only thing that’s missing is prequel titled, “Regular Shark Attack.” These movies are made by The Asylum too – those guys really like sharks. 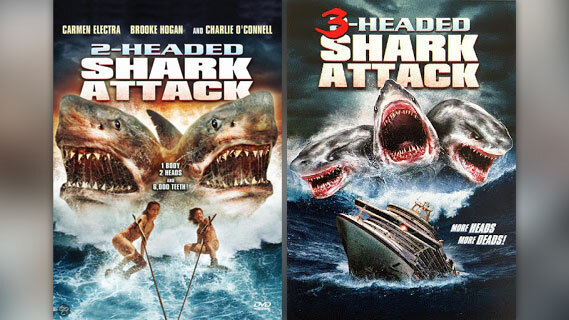 2-Headed Shark Attack, starring Carmen Electra (somehow), and Brooke Hogan (of Sand Sharks fame! ), is about a genetically altered shark that kills people, and that’s pretty much it. 3-Headed Shark Attack isn’t actually out until October 2015, but we can’t imagine the plot being too different, aside from a few extra teeth. Danny Trejo is in it, though, so it will obviously be awesome. 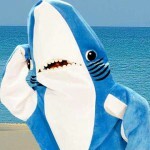 In this SyFy masterpiece, a great white shark is caught and tortured to death by a fisherman. Seeking revenge on humankind, the shark uses its newfound GhostShark™ supernatural powers to psychically travel between and emerge from different bodies of water. Even things like puddles and showers are fair game. Technically, these aren’t shark movies at all. 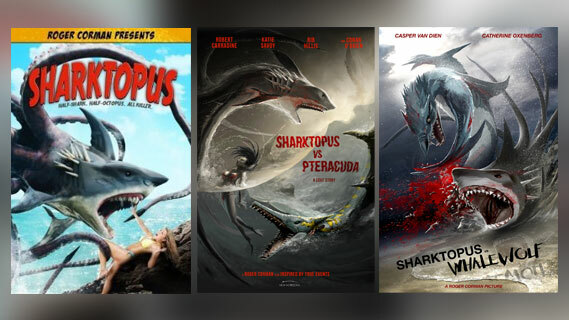 They’re sharktopus movies, which are clearly different. The original Sharktopus itself is a genetically engineered, hybrid animal created for the military to use as a superweapon. Predictably, it escaped from its containment and killed a whole bunch of people. Nuts. 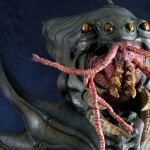 In the second movie, the Sharktopus is used to fight off a new rogue bio-weapon, the Pteracuda. Whalewolf and Mermantula haven’t aired at the time of this post (you guessed it, they’re all SyFy movies), but we have to assume that they’ll be pretty faithful to the vision of the first films. Zombie Shark didn’t crack our list of the best zombie movies ever, but it’s definitely on our list of shark movies. How can you go wrong with an undead shark that terrorizes people? 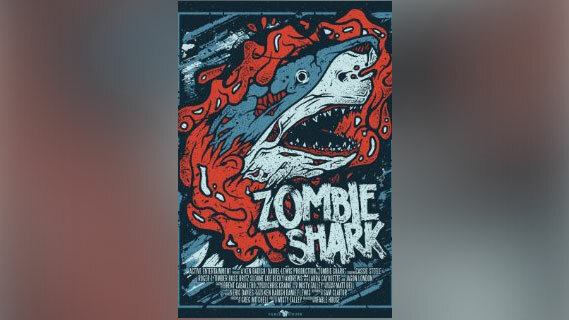 This movie is not to be confused with Zombie Sharks, which was a completely legitimate documentary produced for Discovery Channel’s Shark Week about hypnotizing sharks. This movie is a real thing that exists. 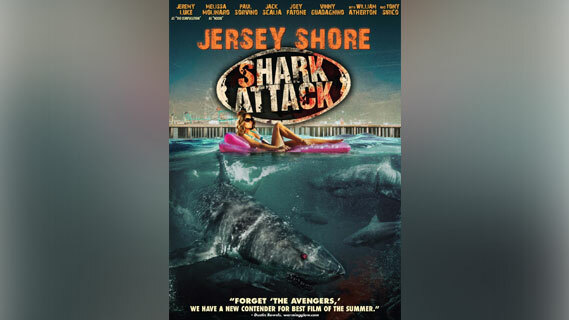 When a rare breed of monster shark attacks the Jersey Shore, how will Nooki, The Complication, and the rest of their non-copyright-infringing friends make it out alive? Remarkably, this one is actually sort of based on a true story. In a world where great white sharks have been genetically modified to be the size of lap dogs to serve as pets for rich people… they still go crazy and kill people. It’s much more adorable this way, though. With all the massive success that Jurassic World has had in 2015, why not revisit a lesser-known, action-horror movie with “Jurassic” in the title? It has a pun title and everything, so you know it’s going to be good. Sky Sharks is going to be a crowdfunded movie about flying robot sharks piloted by zombie Nazis. There’s not much else to say. Are there any other shark movies that we unjustly left out? 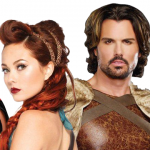 If you liked this post and want to see more like it, tell us what you think on Facebook and on Twitter @BuyCostumes! Hiya Krystal! I’ve only seen parts of The Shallows and did enjoy what I did see but I have to disagree with you about it belonging on this list. I am a complete nutcase who goes on strike for one week, same time each year, to watch SyFy’s Sharknado Week. This (short) list is spot on for the B shark movies it is referring to. The Shallows had an “A-list celebrity” in the lead, a budget of several million and was heavily advertised in comparison, just to name a few things off the top of my head. These wonderful movies here have unknowns or actors who haven’t worked regularly for awhile, no big studio budget/pull behind it & we won’t be seeing regular advertising for this genre anytime soon. If you hadn’t seen any/many of these I’d encourage you to give them a shot and if you’re a fellow wackjob, I’m thrilled to know I’m not alone! 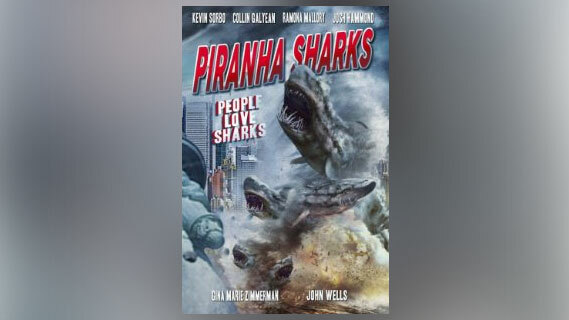 As the title of the list so accurately describes them, they certainly are “Awesomely Bad Shark Movies”!